With few people and endless highways, Montana seems like a state where everyone would get really cheap car insurance. Unfortunately, that’s not the case. For years, Montana has had the worst road fatality rate in the nation (although it’s been getting better!). As a result of this and other factors, Montana auto insurance rates have gone through the roof, rising 64 percent between 2011 and 2017. However, it’s not impossible to find insurance that’s good AND cheap. We’ll tell you exactly how to find the cheapest car insurance in Montana. Want to cut to the chase? Get a head start and start comparing rates here. What are Montana’s Auto Insurance Laws? Montana law requires drivers to have liability insurance to drive legally. 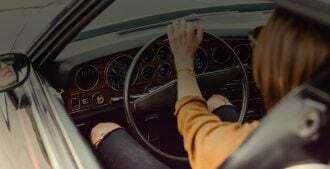 Your car insurance must include $25,000 in per person and $50,000 per accident in bodily injury liability, plus $20,000 in property damage liability. You’ll often see this abbreviated as 25/50/20. Liability is the part of your insurance that pays for injuries or damages suffered by other people in an accident you’re legally liable for. Bodily injury liability pays for other people’s medical bills and lost wages. Property damage liability pays for damage to other people’s cars and property. In Montana, you’re also required to carry 25/50 uninsured motorist bodily injury liability, unless you opt out in writing. But we don’t recommend opting out, because it’s a good idea to carry this coverage. How Do I Find the Cheapest Auto Insurance in Montana? You’ll hear many car insurance companies claiming they offer the cheapest insurance, but you know what? It’s not true. That’s because auto insurance is an extremely personalized product. Insurers take your data — such as your age, your driving record, your address and your profession — and then they each have a different way of calculating your risk. That’s why the only way to find the cheapest MT auto insurance rates is to compare customized quotes side by side. You may find that quotes from different companies differ by $20, $50 or more per month. Once you compare quotes, all you have to do is pick the cheapest one for the coverage you want. Compare.com makes it easy. To begin, just enter your basic info one time to get quotes from several insurance companies. Then, select one of four levels of coverage: state minimum, Basic, Plus or Premium. If you really want the absolute cheapest Montana car insurance, pick state minimum coverage. Just be aware that it may not be enough to protect your car and your assets. 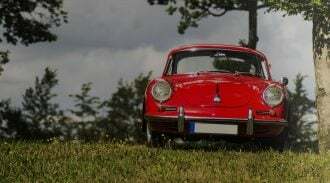 How Do I Find the Cheapest MT Auto Insurance that Gives Me Enough Coverage? We know you don’t want to waste a lot of money on car insurance. But we know you also don’t want to get hit with a personal injury lawsuit or a huge collision deductible because you didn’t carry enough insurance. So where’s that perfect middle ground? Compare.com can help you find it. Step one: Find your absolute cheapest option for state minimum insurance. As an example, we ran the numbers for a 27-year-old woman who’s shopping for auto insurance in Billings, MT. She has a good driving record and drives a two-year-old Jeep Patriot. When she opts for 25/50/20 state minimum coverage, her quotes range from $49 to $60 per month (plus a down payment, if she pays month-by-month.) That’s pretty cheap. However, our Billings driver needs collision and comprehensive coverage as well, because she drives a newer car. Step two: Select the next highest coverage level — Basic — and compare quotes again. 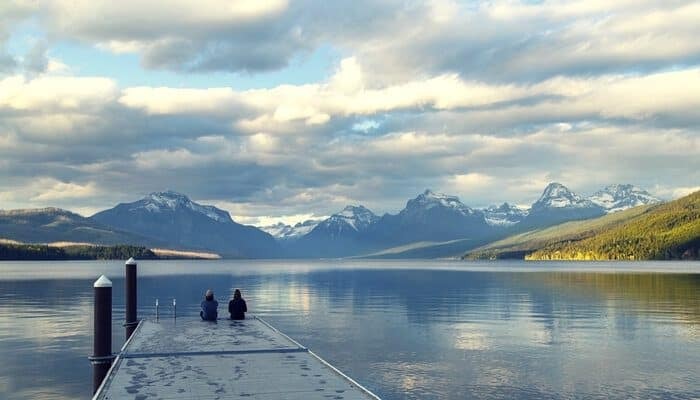 In Montana, Basic coverage includes the same 25/50/20 bodily injury liability and uninsured motorist coverage, but it adds comprehensive and collision with a $1,000 deductible. Now, her quotes range from $117 to $143 per month. You can see why it’s smart to compare! Step three: Get quotes for the Plus level of coverage, too. Plus increases bodily injury and property damage liability to 50/100/50 (with the same limits for uninsured/underinsured motorist liability). The comprehensive/collision deductibles drop to $500, and she gets towing/rental car coverage too. Now, her quotes for this coverage range from $137 to $148 per month. That means our Billings driver can get much better coverage by paying just a little more each month. Your quotes could be higher or lower, of course. The only way to find out is to compare. Do it! What Are Some Ways to Make my Montana Auto Insurance Even Cheaper? Pay your premium up front. When you compare quotes, you’ll see the option to pay up front for six months of coverage or pay month to month. It’s always a better deal to pay up front, if you can, because you’ll avoid paying a down payment and higher monthly rates. Drop the extra benefits you don’t need. When you’re selecting your coverage level, you’ll see a link at the bottom of the page that says “Customize coverage.” Click it to delete rental car and towing coverage or raise your deductibles, which can save you money on your premiums. Talk to an advisor. If none of your insurance quotes seems just right, you can click the green button to call an advisor. This will connect you with an expert insurance rep who can help you figure out the right coverage to buy. I Can’t Afford Montana Car Insurance. What Happens if I Drive Without Insurance? You can be charged with a misdemeanor if you’re caught driving uninsured in Montana. For a first offense, you’ll have to pay a penalty of $250 to $500 or serve up to 10 days in jail. Do it a second time, and you’ll get hit with a minimum $350 fine or 10 days in jail. Your driver license will also be revoked for 90 days, and you’ll get 5 points on your driving record. If you’re caught driving without insurance a third time (or more), the penalties are a fine of $500, up to six months in jail, or both. Long story short, it’s always a bad idea to drive uninsured. If you’re having trouble finding a policy you can afford, we can help you compare the cheapest Montana car insurance options. Get started now.